Carolina silverbell (Halesia carolina)reaches its greatest size in the southern Appalachian Mountains where it is called mountain silverbell. 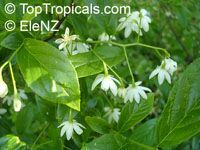 This attractive shrub or small tree, also called snowdrop-tree or opossum-wood, grows in moist soils along streams in the understory of hardwood forests. It has a moderate growth rate and lives about 100 years. The white bell-shaped flowers and small size make it a desirable tree for landscaping. The seeds are eaten by squirrels and the flowers provide honey for bees. Tree Fuchsia from South Africa. 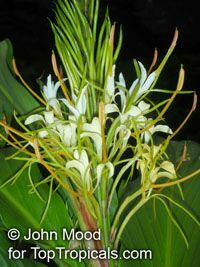 The flowers are tubular, orange to brick-red, or yellow, very rich in nectar and are produced in clusters in the axils of leaves and on short shoots on the old wood, even on the main trunk. Halleria lucida is tough and easy to grow, and thrives under many different conditions. Hamamelis virginiana, known as common or American witch-hazel, is a species of witch-hazel native to eastern North America, from Nova Scotia west to Minnesota, and south to central Florida to eastern Texas. 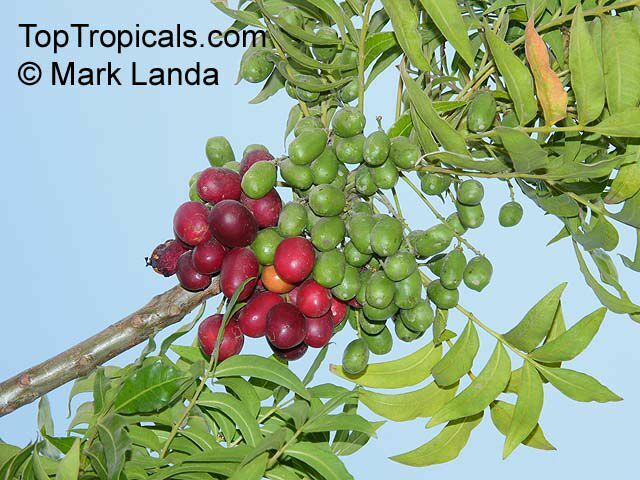 It is a small, deciduous tree with a dense cluster of stems from its base. The young leaves open involute, covered with stellate rusty down; when full grown, they are dark green above, and paler beneath. 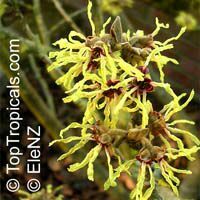 Native Americans produced witch hazel extract by boiling the stems of the shrub and producing a decoction, which was used to treat swellings, inflammations, and tumors. Early Puritan settlers in New England adopted this remedy from the natives, and its use became widely established in the United States. 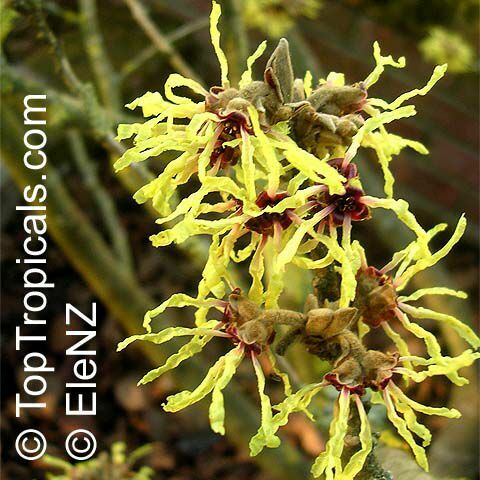 An extract of the plant is used in the astringent witch hazel. Cute yellow bell-likr flowers! 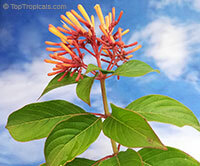 If you want yellow to get involved in the design, then you've got to add Bahama firebush. Similar in growth to the scarlet-flowered one, you can keep it trimmed below seven feet. Large leaves make it good for screening. Don't hedge it; trim it naturally, and it will flower much more. Pollinator-friendly flowers during the rainy season. Great butterfly attractor. Fire Bush, full size variety. Grows into a small tree. Small, tubular red-orange flowers. Pruning inhibits the blooms, which appear at the ends of the branches. One of the best butterfly attractors. 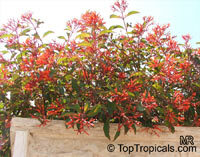 Fire Bush, Firecracker Plant. 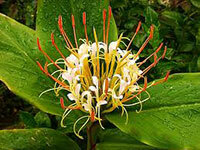 It has pale green rounded leaves and small, tubular red-orange flowers. One of the best butterfly attractors. 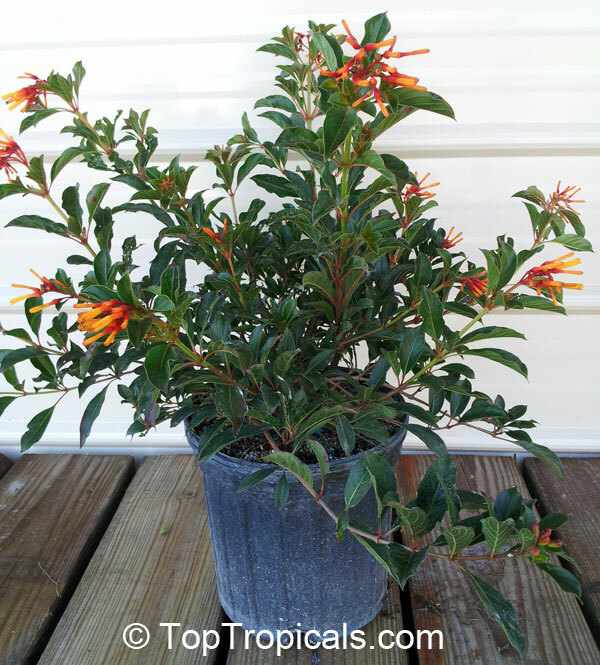 FireBush, dwarf compact variety. Small, tubular red-orange flowers. A dense medium-sized hedge or an attractive shaped plant; pruning, however, inhibits the blooms, which appear at the ends of the branches. One of the best butterfly attractors. 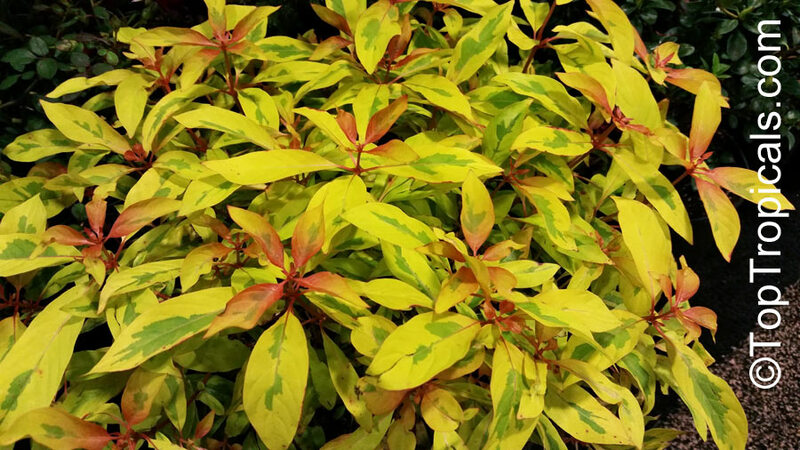 Lime Sizzler (Grelmsiz) Variegated Firebush is a new dwarf hybrid that is spectacular and sunny! 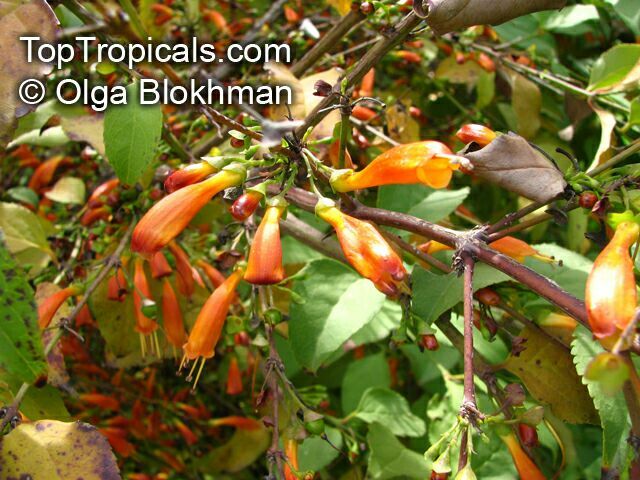 It features green and yellow variegated foliage with sizzling red-orange flowers from late spring through fall. Variegated foliage is uniquely eye-catching. It thrives, effortlessly both in the landscape or in a container. One of the best butterfly attractors. 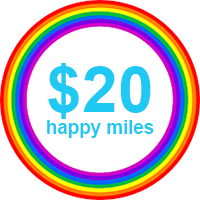 Hardy at least down to upper 20's. Whether you use the Lime Sizzler as an accent, border, hedge or beyond, it leaves a one-of-a-kind impression. 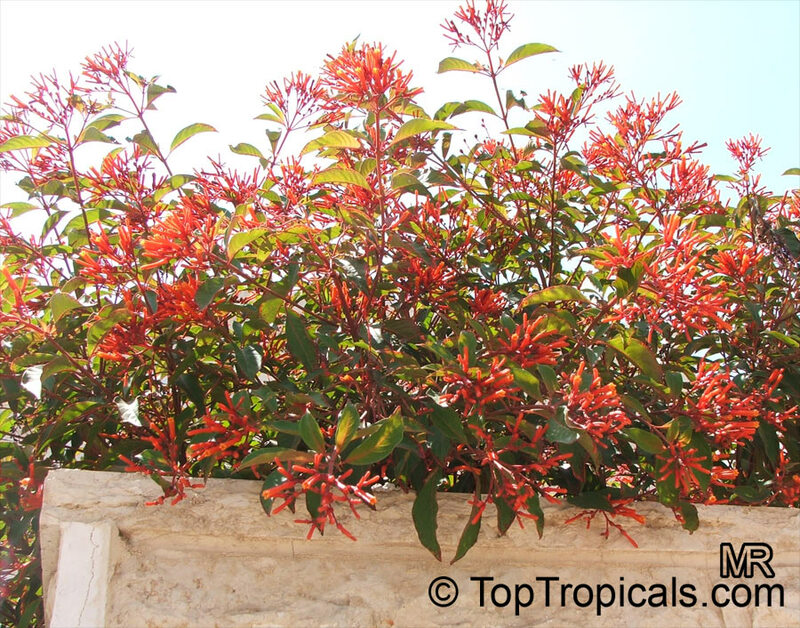 The Lime Sizzler Firebush is a must-have for any tropical plant collection or butterfly garden. Kaffir Plum. This is an attractive African tree attracting birds and butterflies into the garden. Fruit are edible. White Ginger, Butterfly Ginger Lily. This is the most fragrant of all gingers. In the summer it bears fragrant flowers that resemble butterflies. It is popular in Hawaii and the Pacific Islands were it is used in leis or singly worn in the hair or behind the ear. It also makes a good cut flower great for scenting the home. It is a tough plant, a light freeze will kill it to the ground, but it will come back in the spring. Hardy Ginger. One of the best Hedychiums for the temperate climate. Plant in a moist location that gets sun, but is still a bit protected. Very exotic and tropical looking. Plants can increase quite quickly to form large clumps. 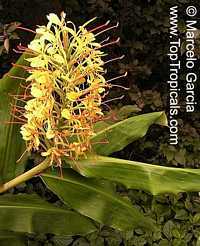 Hedychium ellipticum (Shaving Brush Ginger) has creamy-white flowers and inflorescence that is wedge-shaped. It is tightly compacted and flattened. Delicate stamens tipped with orange anthers. Leaves are prominently ribbed and edged with a dark red color at the base. Spectacular variegated leaf variety with orange flowers! From the late plant breeder Dr. Moy of the San Antonio Botanical Garden comes this new hybrid with white paint-like speckles covering the otherwise green foliage. 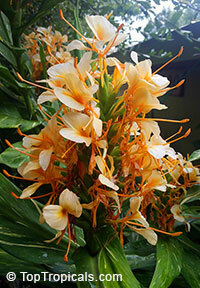 In September, clumps of Hedychium Dr. Moy are topped with fragrant, peachy-orange flowers with a darker orange throat. Exquisitely fragrant! 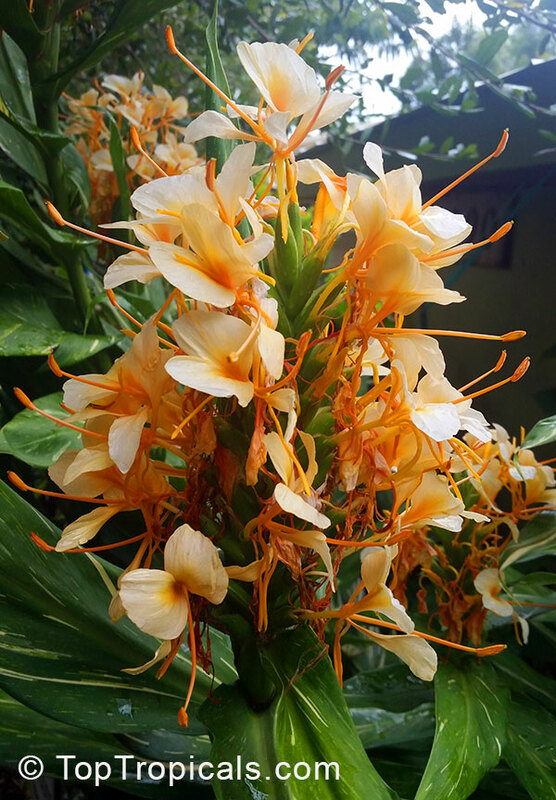 Indian Ginger, Kahili Ginger. Very vigorous, producing thick stems which support the large yellow flowers with orange stamens, very fragrant. This splendid plant comes from India, possibly the tallest of the Hedychium Gingers. 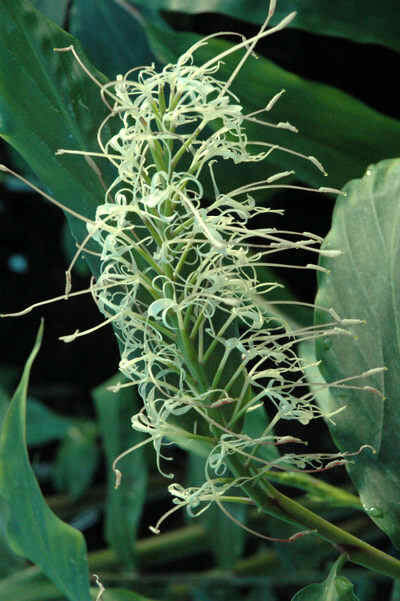 Growing to 12 ft. or more, it bears long, robust shoots clad with large and bold, ornamental leaves and produces long, eighteen inch spikes of what has been described as ghost-white flowers. Beloved of butterflies and humming birds, these are fragrant and a happy construction of narrow, curled petals and long stamens. Golden Dwarf Heliconia - excellent cut flowers, resembling Bird of Paradise in yellow to orange! Endemic to Central America - south Mexico and Guatemala. Its natural habitat is montane forests. 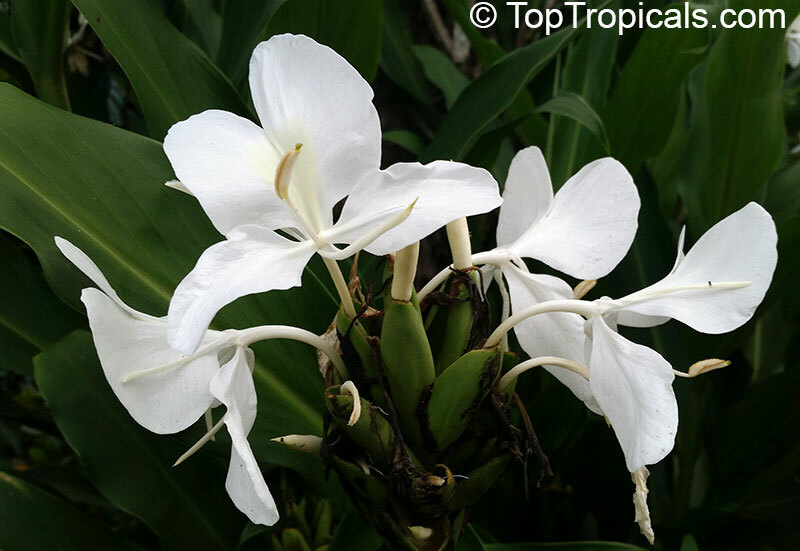 Tropical, evergreen perennial with short rhizomes and smooth, leathery, 7 to 16 inch long, oblong leaves. The plant is a smaller species (4 - 5 ft) with a compact, relatively small, erect inflorescence. Unusual, 8 inch long inflorescences, resembling birds of paradise, hold light yellow to orange sepaled flowers. Borne from spring through summer. Cold-sensitive and requires a minimum temperature of 40 F. This species does not tolerate heavy clearing and disturbance. One of the most impressive hybrids Heliconia caribaea x bihai Jacquini is the harder to get large growing variety. 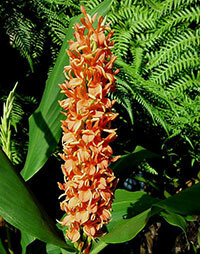 It has eyecatching bright red/orange bracts which have a thick golden border. Jacquinii is a natural hybrid that blooms prolifically in summer and autumn with spectacular huge upright bracts. A large, erect plant habit, with big broad tropical leaves. The bihais are quite tolerant of cooler conditions. Height growth varies 5-7 ft depending on the warmth of your climate. Grows well in partial shade to full sun. A beautiful, medium-sized species from S Mexico and Central America, Maya Gold is one of the largest crab claws in the heliconia family. 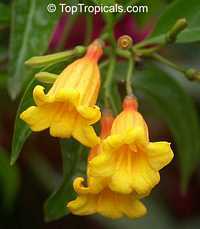 Large, dense, upright, distichous inflorescence with up to 15 golden yellow, cup-shaped bracts. The flower is a magnificent gold color with green along the bottom of the bracts. At the tip some bracts with minute flecks of maroon, basal bract mostly green. Maya Gold flowers during the warmer months. Foliage stems are attractive with red spots along the main stem. Clumping heliconia, this is a great landscaping and cut flower plant. Heliconia hirsuta Costa Flores is native to Costa Rica. It blooms from late spring to early summer. The Costa Flores produces dark red bracts with yellow sepals with black accents on them. It enjoys full sun to partial shade and flourishes in zones 10 and higher. To prevent wilting, it is recommended to water this plant daily. It can grow to be 3 to 5 feet in height. 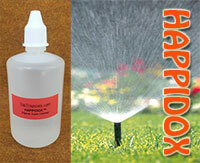 Great for attracting bees, butterflies, and birds. 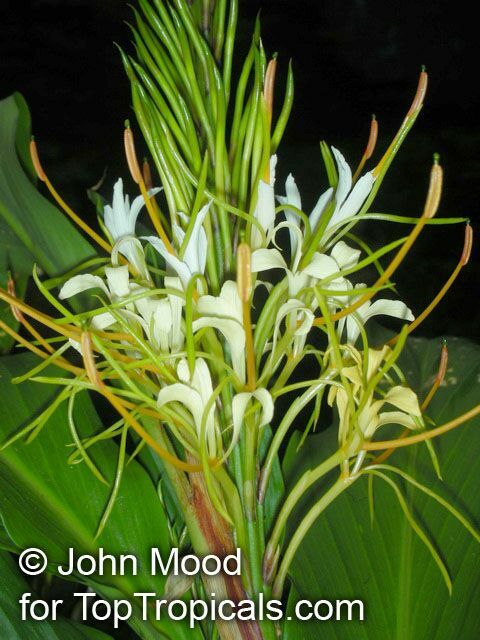 Heliconia latispatha grows up to 12 ft tall, with leaves resembling those of bananas. 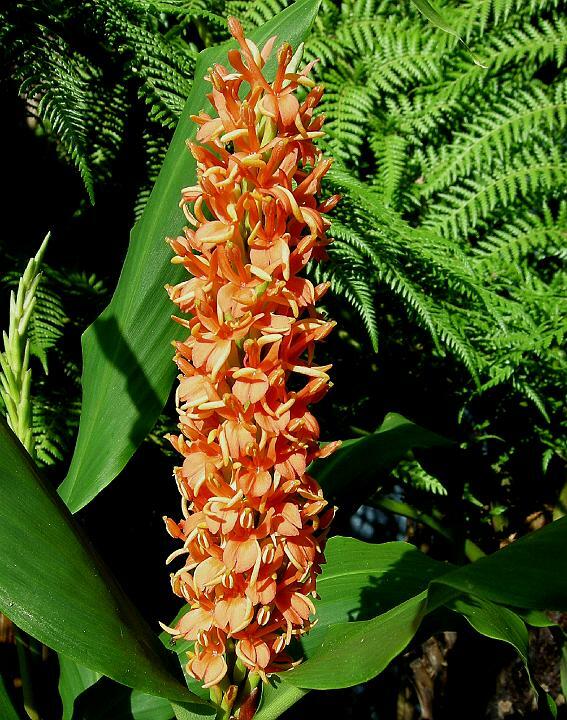 Inflorescence is erect, up to 2 ft long, with red or orange bracts subtending green, yellow or orange flowers. 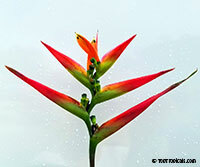 What is nice about this Heliconia is how the blooms appear at the very top of the stalk, shown off above all the leaves. Pendent Beefsteak Heliconia from Central and South America is a large tropical herbaceous perennial to 10' -20'. The hanging flower bracts are a deep burgundy red in a congested form and are densely packed up to 20" long. Great cut flower. Best in bright shade. Blooms all year, likes highly organic soil and lots of water.